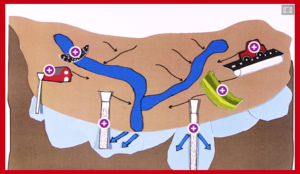 Aquifers are geological formations of saturated rock beneath the surface, through which water can move. 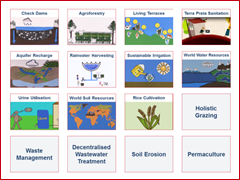 They act as natural filters and trap sediments and other particles, thereby providing natural purification of the groundwater flowing through them. 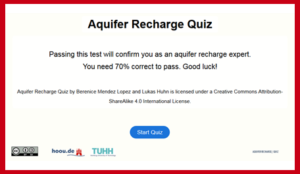 Almost all aquifers are, in fact, not underground rivers, in which the water floows freely, but rather it has to squeeze through pore spaces of rock and sediment. 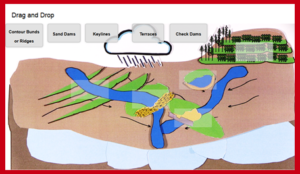 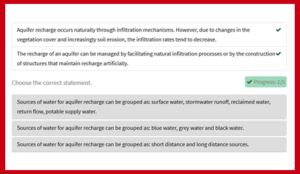 Aquifer recharge occurs naturally through infiltration mechanisms. 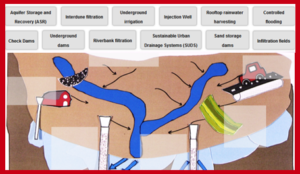 However, due to changes in the vegetation cover and increasingly soil erosion, the infiltration rates tend to decrease. 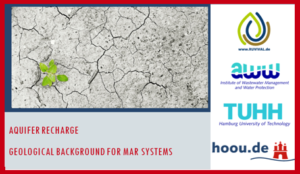 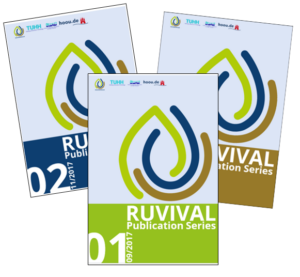 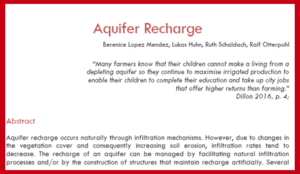 The recharge of an aquifer can be managed by facilitating natural infiltration processes or by the construction of structures that maintain recharge artificially. 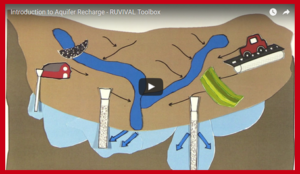 This is called managed aquifer recharge (MAR).